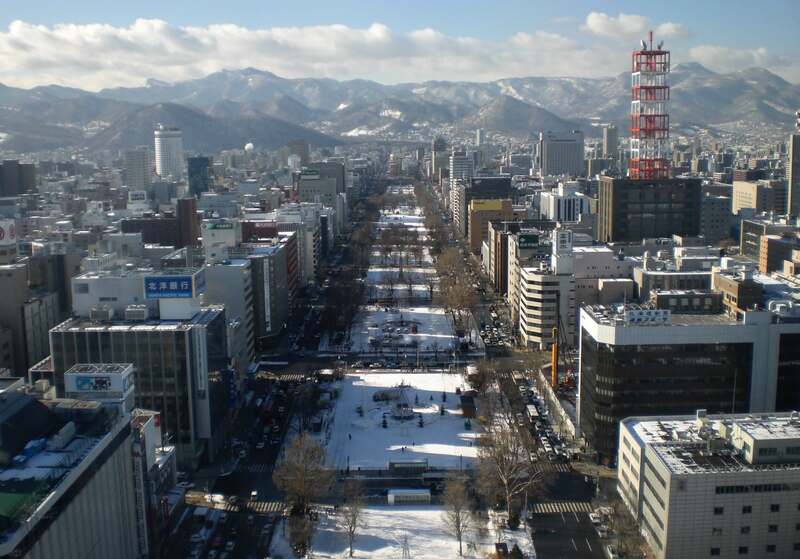 Sapporo’s the main city on Japan’s far northern island of Hokkaido, and comfortably the largest Japanese city north of Tokyo despite being in by far the least densely populated part of the country (leaving the rest of the island very sparse). It’s a long way from the capital, or anywhere else you’re likely to be visiting for the World Cup, but attending a match in Sapporo gives you a chance to explore a different side of Japan. Sapporo Dome itself is conveniently located a short walk from the subway and seats 41,000, usually for baseball & football, and due to the severe Hokkaido winter it has a permanent roof and sits there like some sort of giant silver egg or a parked UFO (it’s also the stadium where a David Beckham goal gave England a 1-0 win against Argentina in 2002, and where this author got his 0.5 seconds of fame in a sports drink commercial staring baseball pitcher Daisuke Matsuzaka). Two pool matches are scheduled to be played at Sapporo Dome, on consecutive nights; Australia vs Fiji on September 21st & England vs Tonga on the 22nd – those are Saturday & Sunday, and along with the tournament’s opening match on TV on Friday 20th it should make for a rather lively weekend in Sapporo! Being relatively young and therefore better planned, unlike most Japanese cities Sapporo is laid out on an easy to navigate grid. Roads run north-south and east-west, and addresses are given using grid reference points indicating the number of blocks from Sapporo TV Tower e.g. Susukino Station is at South 4, West 4. The subway has three lines, with the Nanboku Line (green on the map) running down the central north-south axis connecting Sapporo Station, Odori, and Susukino; there’s also a tram line which may be of use depending where you’re staying, and buses going wherever the trains & trams don’t. IC cards are accepted on all modes of public transportation, the local version is Kitaca (issued by JR) but cards from Tokyo, Osaka and elsewhere are all fully compatible (for more info on IC cards see here. The stadium’s a 15-minute walk from the southern end of the Toho Line at Fukuzumi Station, a 10 to 15-minute subway ride from central Sapporo. Most Sapporo accommodation is clustered around the 3 main stations along Sapporo’s central north-south axis – Sapporo Station, Odori, and Susukino. 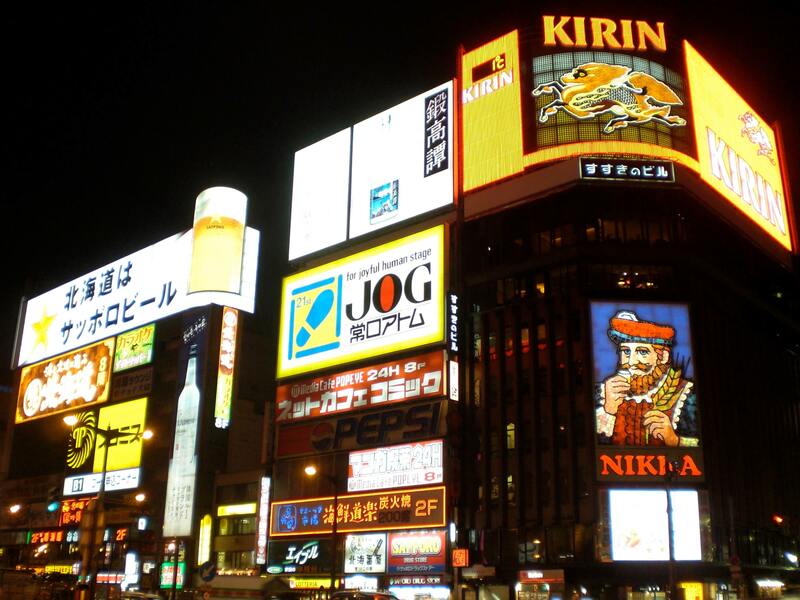 Most of the sights and shopping are in the same area, the nightlife’s mostly found around Susukino, and Sapporo Station’s the main transportation hub with JR lines and a bus station in addition to the subway. The Toho Line to the stadium runs through all 3, so you can happily stay anywhere in that central area. An array of massive department stores (Daimaru, Esta) and electronics megastores (Yodabashi Camera, Bic Camera) are clustered around Sapporo Station, with a long shop-lined boulevard running from there down to Susukino Station. More interestingly, there’s an underground walking & shopping arcade running below the street the entire way from Sapporo Station to Susukino (with a branch also running under Odori Park to the TV Tower), with free wifi and chill out spaces (this underground route is a godsend in midwinter, but even in October you might be thankful for it if a northerly wind rips through). Another shopping arcade (this one above ground but covered) called Tanukikoji runs east-west a few blocks north of Susukino Station (see here). The Susukino area is the city’s (and indeed the island’s) main concentration of nightlife with all sorts of bars & izakayas, restaurants, karaoke, etc, densely packed into a few city blocks. There are a few long-established expat hangouts which will be good bets for watching matches on TV. In the Tanukikoji shopping arcade (at South 2, West 6) you’ll find TK6, a lynchpin of expat life in Sapporo and a great spot for live sports. On the clubbing side of things Sapporo is a bit underwhelming for the size of the city, but if you find your way to the Booty (South 7, West 4) you’ll be on the right track. If you’re still going when they close, there’s a notorious after hours joint called Rad Brothers just a 2-minute stumble to the east at the intersection – in there I once witnessed a yakuza ladyboy glassing a drunk Russian dancing on the table with his pants round his ankles… in other words, it gets pretty rowdy. 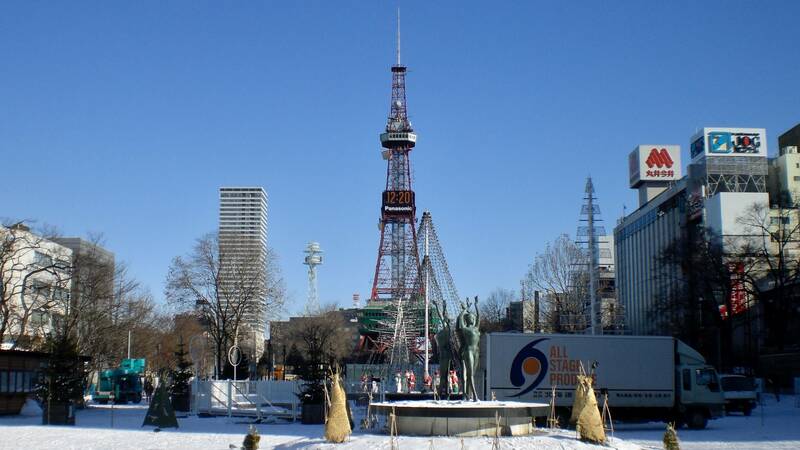 The three towers: Sapporo’s two most famous sights are the TV Tower & Clock Tower, and to be honest they’re a little underwhelming. But they are the symbols of the city, and for Instagram posers those are the must-get Sapporo selfie spots. The Clock Tower (see here) is really just a small building with a clock on the roof, but it’s one of the oldest buildings in the city and houses a small local history museum (it’s located near the TV Tower at North 1, West 2); the TV Tower’s an actual tower (like a smaller version of Tokyo Tower) standing at the end of Odori Park, the centre point of Sapporo’s grid reference system, and you can go up to the observation deck for 720 yen (see here). 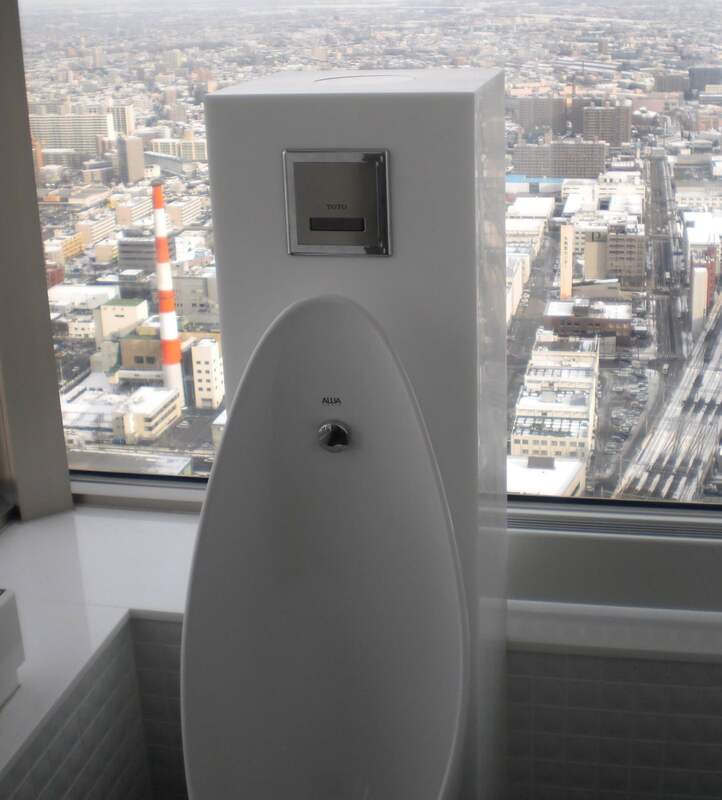 The JR Tower at Sapporo Station (see here) is the city’s tallest building, and the observation deck on the 38th floor is almost twice as high as the TV Tower’s, for the same entrance fee. Sapporo Beer Museum & Beer Garden: this was the site of a Meiji-era brewery, now a beer museum (see here). It’s free to browse the exhibits, and for 200 yen a glass you can try various beers in the tasting room. The attached beer garden (see here) has all-you-can-eat-and-drink deals, serving Sapporo Beer with Genghis Khan lamb BBQ (see below). It’s a 15-minute walk south from Higashi-kuyakusho Mae Station on the Toho Line (and there’s a massive shopping mall next to it called Ario). There’s also the Sapporo Factory, a shopping mall built on the site of the very first brewery in Japan. It’s a pretty cool building, and it has a beer hall too in addition to all the usual fashion stores. The above two are better, but one’s a bit more convenient being just a few minutes’ walk north of Bus Center Mae Station on the Tozai Line, or a 10-minute walk northeast of the TV Tower (it’s at North 2, East 4). Mt Moiwa: small mountain on the southwestern edge of town, with a ropeway you can ride up to see the views from the observatory. There’s also a restaurant up there, and it’s 1700 yen for the ropeway (see here). The lower ropeway station’s a 5-minute walk from Ropeway Iriguchi (ロープウェイ入口) tram station, 25 minutes from the Susukino terminus. Otaru: a small port town half an hour west of Sapporo with a historical canal district. It’s nothing to get too excited about, but if you’re looking for an easy half-day trip out of Sapporo it fits the bill. A few blocks northeast of Otaru Station there’s a ramen restaurant called Ramen Kyoya (らー麺京や) that I once stumbled into after a 21-hour ferry journey from Kyoto; the owner shouted me several glasses of beer while drinking a few himself and chatting in excellent English, and the noodles were delicious. If you do visit Otaru, it’s a good lunch option on your stroll down to the canal. Soup curry: curry rice is popular throughout Japan, which is recognisable as a fairly generic curry dish but a mild Japanese version. In Hokkaido it’s often served as a soup instead, and usually much spicier; essentially, think of a spicy curry-flavoured soup containing all the usual veggies and whichever you order of meat/shrimp/tofu, served with a bowl of rice. Might sound odd but it’s actually really good. Try Garaku at near Susukino Station at South 2, West 2. Genghis Khan: named for the great Mongol lord (who according to local legend was actually born in Hokkaido, though there doesn’t seem to be much evidence for this) and pronounced Jingisukan in Japanese, this is basically barbecued lamb, sometimes on skewers, sometimes in strips on the grill. It’s usually eaten in an all-you-can-eat system where you pay a flat rate per person and they keep the food & beer coming until you tap out. The easiest place to try this is the Sapporo Beer Garden (see above). Highly recommended! Daisetsuzan: Japan’s famous autumn colours don’t hit Tokyo & Kyoto until late November, but they actually start at Daisetsuzan National Park in the centre of Hokkaido in late September – exactly when rugby fans will be in Sapporo. 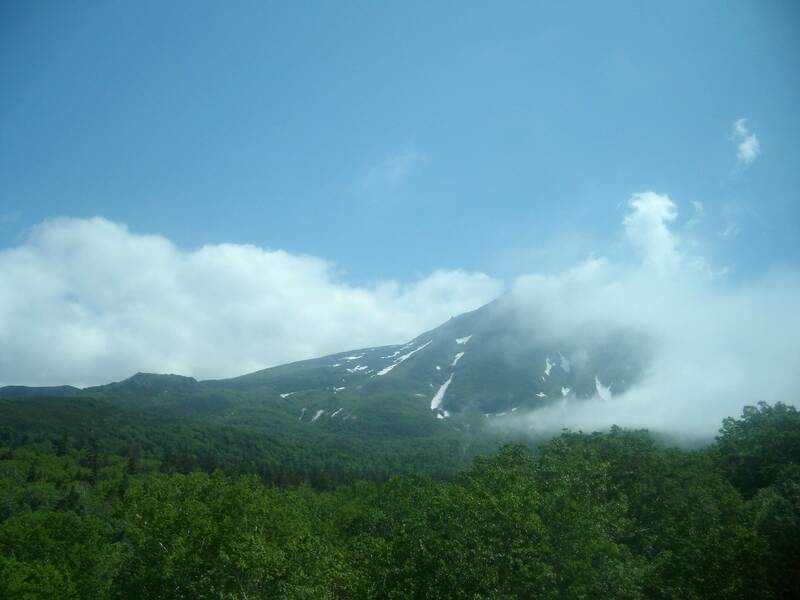 The park’s huge, with a number of 2000m peaks criss-crossed by a multitude of hiking trails; if you’re not in for a multi-day trek, the easiest way to visit is to go up the Asahidake Ropeway and do one of the short hiking circuits from the upper ropeway station. From Asahikawa Station (a 40-minute train ride from Sapporo) take a bus (1 hour) to Asahidake Onsen at the base of the Asahidake Ropeway, or it’s a 3-hour drive from Sapporo. There are a few hotels near the ropeway (see here), and see here for park info. Abashiri & the Shiretoko Peninsula: Abashiri was the site of Japan’s most notorious prison, now a museum, and is also the nearest city to Japan’s truest piece of wilderness on the Shiretoko Peninsula. Abashiri’s an interesting place to visit on your way to Shiretoko, though for visiting the peninsula itself base yourself at the towns of Shiretoko Shari (which has the closest train station) or Utoro (a 40-minute drive or bus ride north of Shari); search & book hotels in Shari & Utoro. Utoro’s the northernmost town on the peninsula, from where you can take boat cruises up the coast or drive/bus over to Rausu on the east coast for whale watching and views of the controversial Russian Kuril Islands that Japan still claims. See here for more on that. Any questions about watching the rugby in Sapporo? Give me a shout below and I’ll get back to you.